The Module is mostly made to suit the ERP of the organisation and analyze its effectiveness through mock drills. Panikar Management Consulting Pvt Ltd established in the year 2004 providing Safety , Health and Environment (SHE) Training Services & Consulting services across all Industries i.e. Marine, Construction, Manufacturing, Service Sectors, Oil & Petrochemical etc. Meet the salvage experts in an intensive course designed to identify and assess those vital 'first response' actions needed to safeguard crew, ship, cargo, environment and corporate reputation in a marine emergency. Emergency Response vehicles are equipped with state of art emergency handling systems & mechanisms which needs to be monitored online along with location details on real time basis. Wellness Clinics – Visiting Doctors. Health check ups.Design Emergency Medical Card for staff.Provide First Aid Training to staff.First Aid Kits – stocking right medicines, replenishment before expiry.Maintain Blood group wise data base. Sometimes it's difficult to know how best to translate theory into practice. 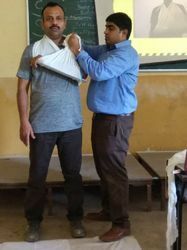 Our training provides realistic scenarios for groups and individuals to practice their response to a crisis and to identify gaps in crisis management and emergency response plans. 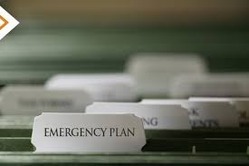 • Development of emergency response and communications plans. • Creation of media and community contact directories. • Media training prior to an actual crisis situation. • Consultation and real-time strategic planning during a crisis. • Copywriting and media relations during a crisis.